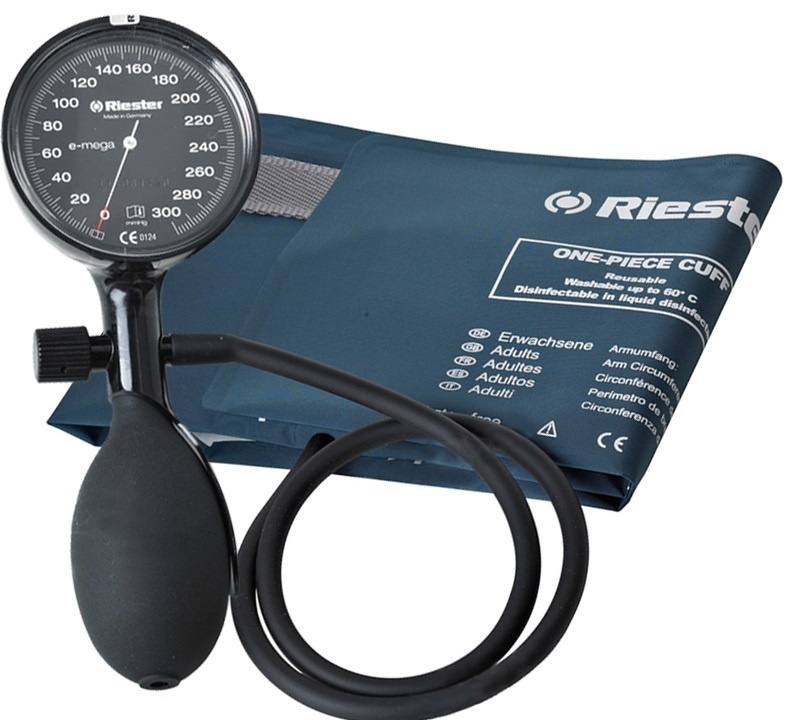 Riester’s e-mega…State of the art aneroid palm style sphygmomanometer with a black or white face. 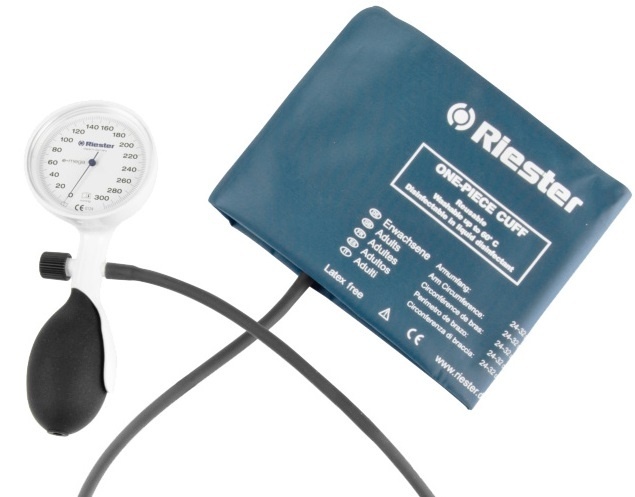 Available as 1 tube version with disinfectable latex-free one-piece cuff. 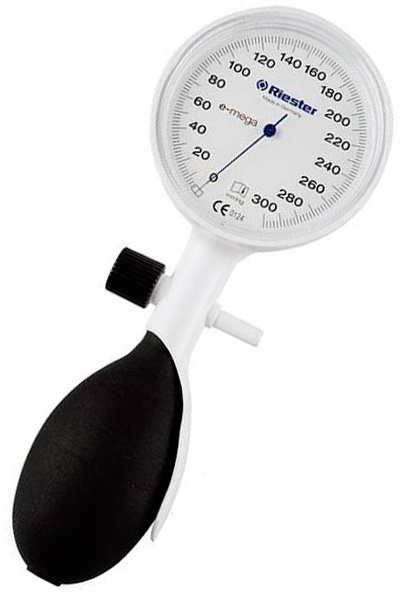 Fast inflation of the cuff due to new ergonomic spoon design. 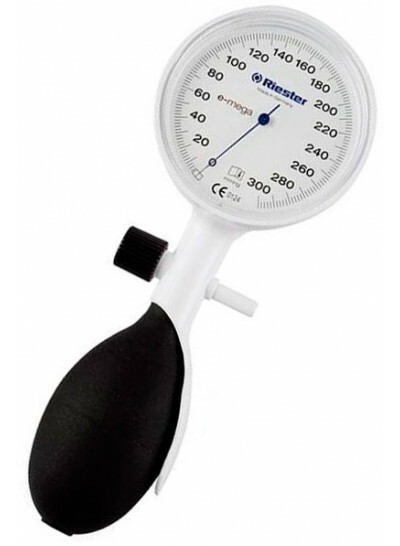 Lifelong precision due to almost non-aging precision movement, with specially tempered copper-beryllium diaphragm for pressure loading capacity up to 600 mm Hg.